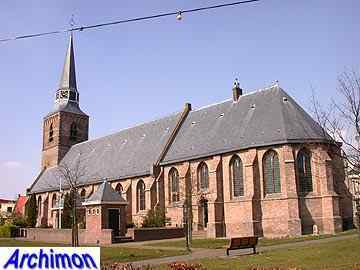 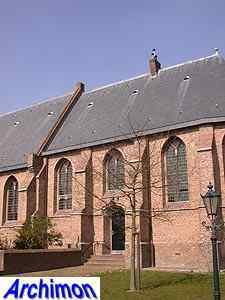 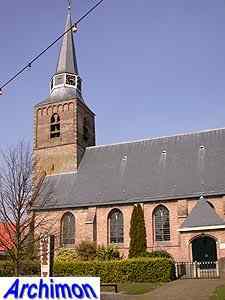 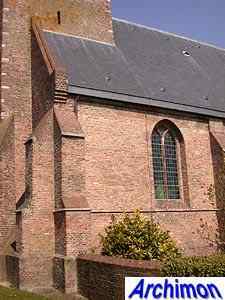 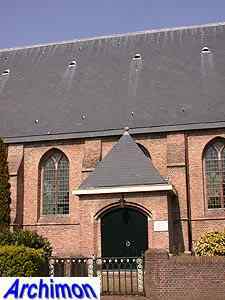 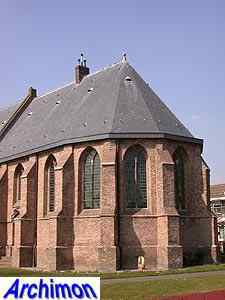 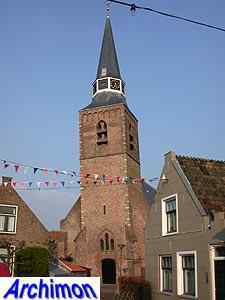 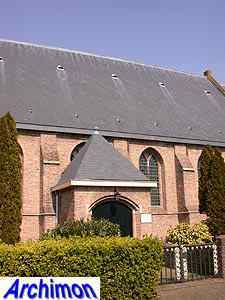 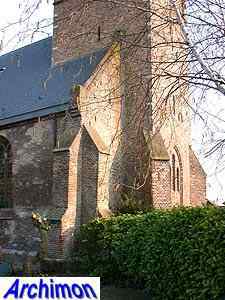 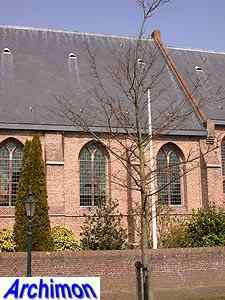 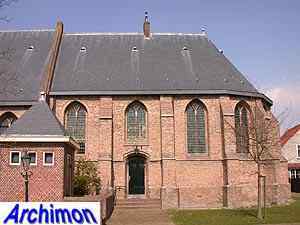 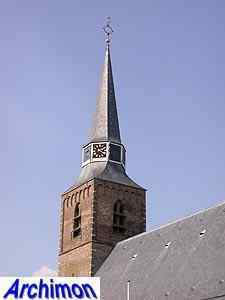 The church of Zuidland is a big one-aisled building in Gothic style. 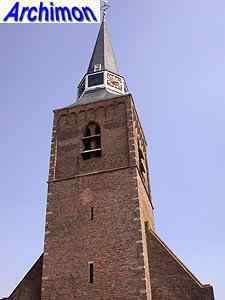 It has a very long choir and a relatively short tower. 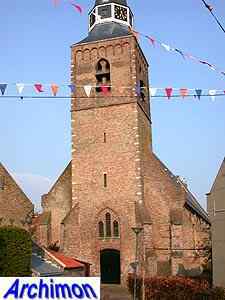 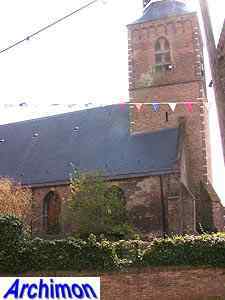 The tower is the oldest part of the church and was built in the second half of the 15th century. 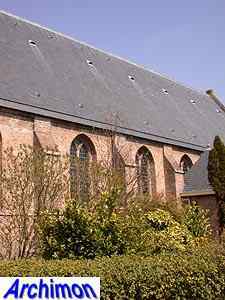 The nave and the choir were built in the 16th century. 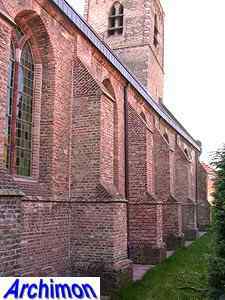 A side-aisle was added to the south side that same century which was about the same height and length as the mainj aisle. 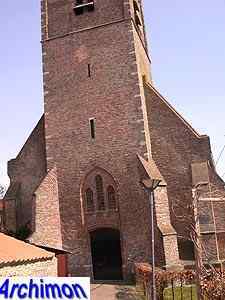 In 1918 the church was largely destroyed by fire. 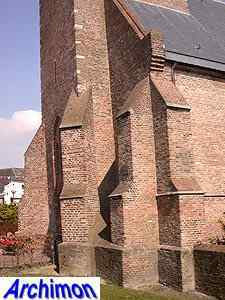 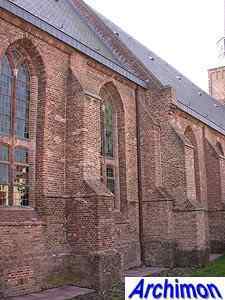 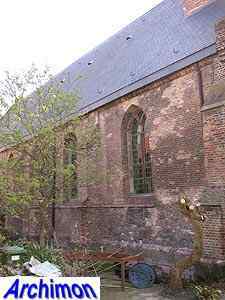 During the restoration that followed, and which was led by H. van der Kloot Meijburg, the side-aisle was removed and the south wall, which had consisted of pillars mostly, was given its current look.